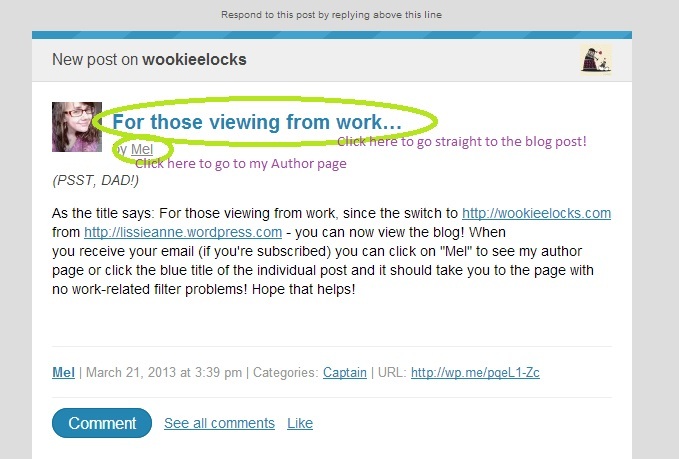 As the title says: For those viewing from work, since the switch to http://wookieelocks.com from https://lissieanne.wordpress.com – you can now view the blog! 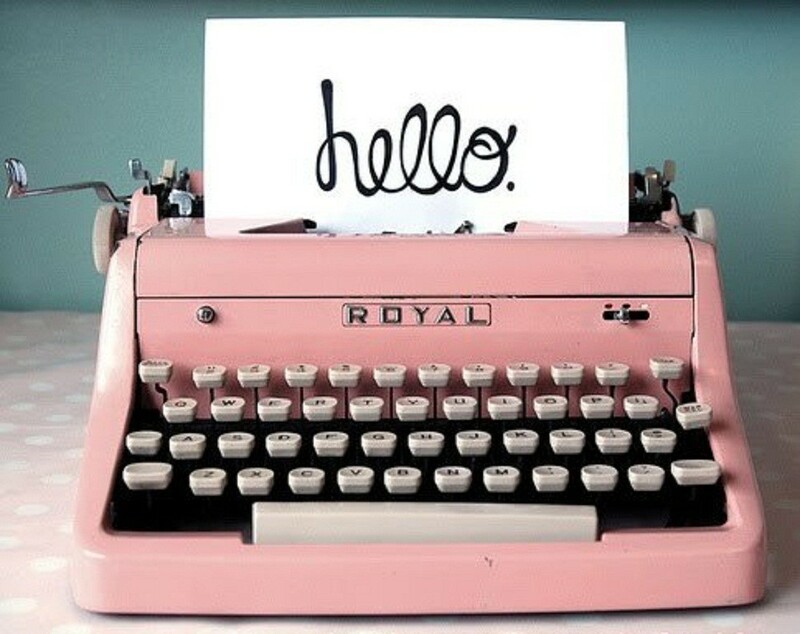 When you receive your email – if you’re subscribed – you can click on “Mel” to see my author pages (ie, the list of all the posts I’ve written – in my case at the moment, every post! this feature isn’t super efficient for my blog) or click the blue title of the individual post and it should take you to the page with no work-related filter problems! Hope that helps!